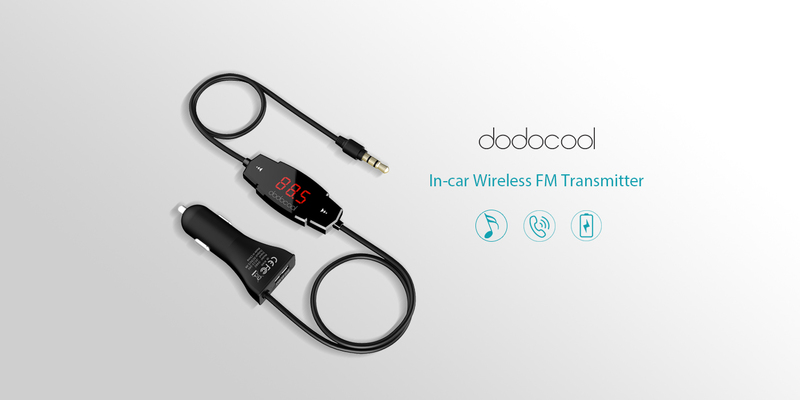 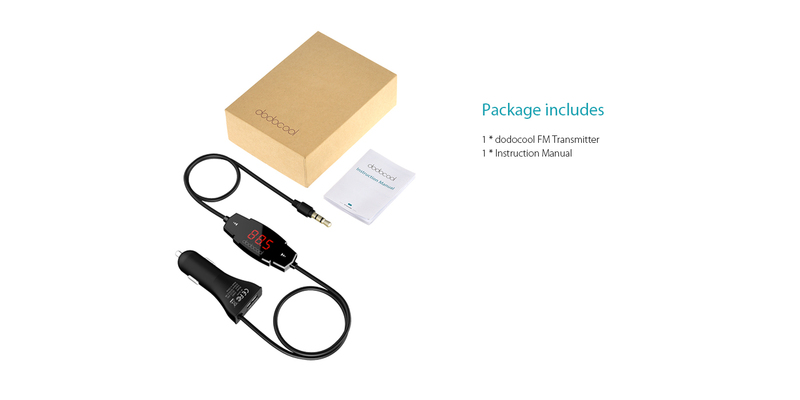 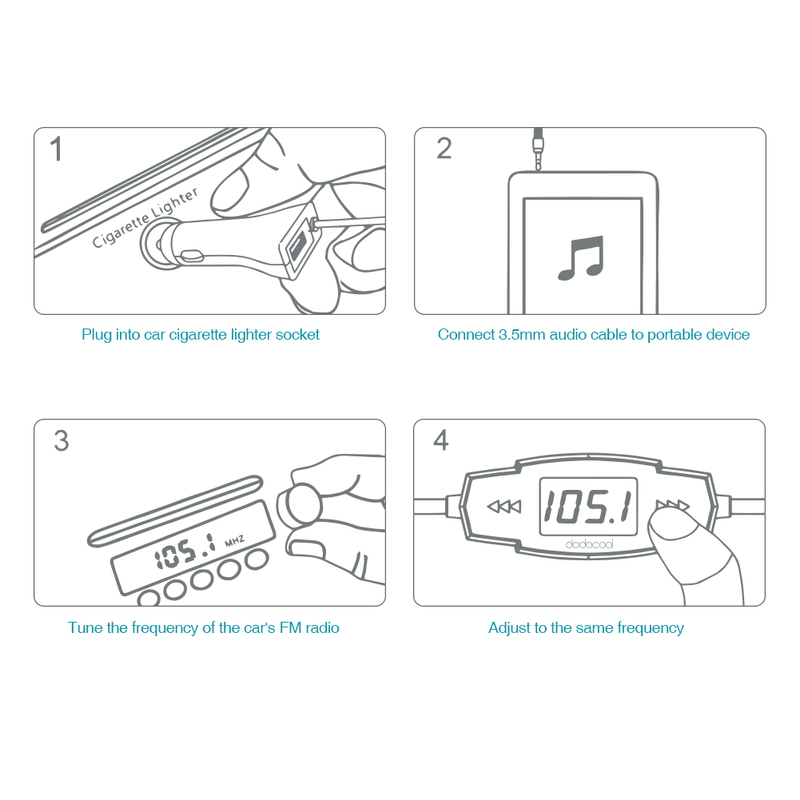 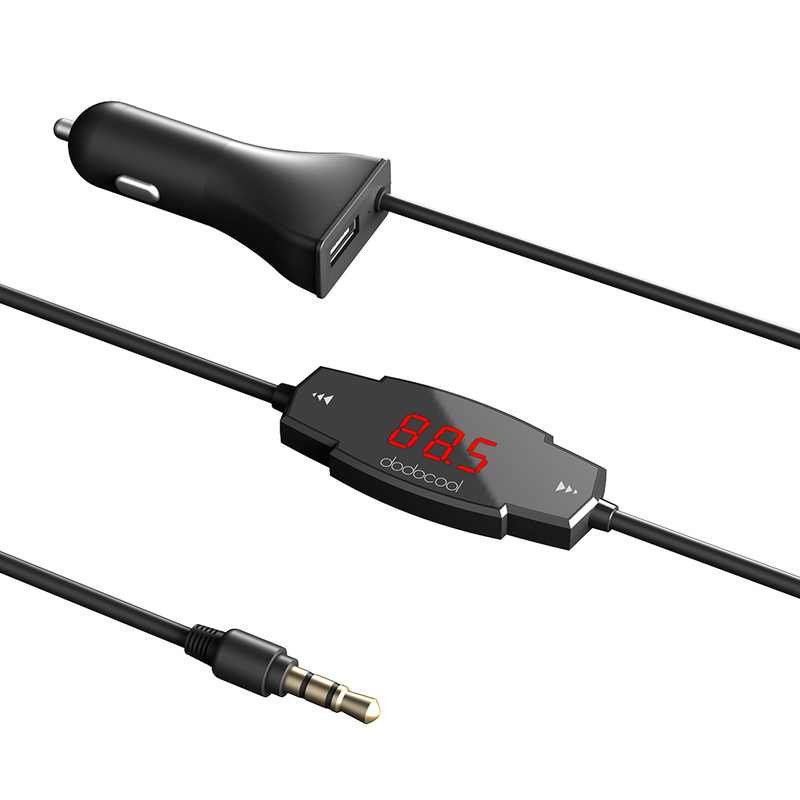 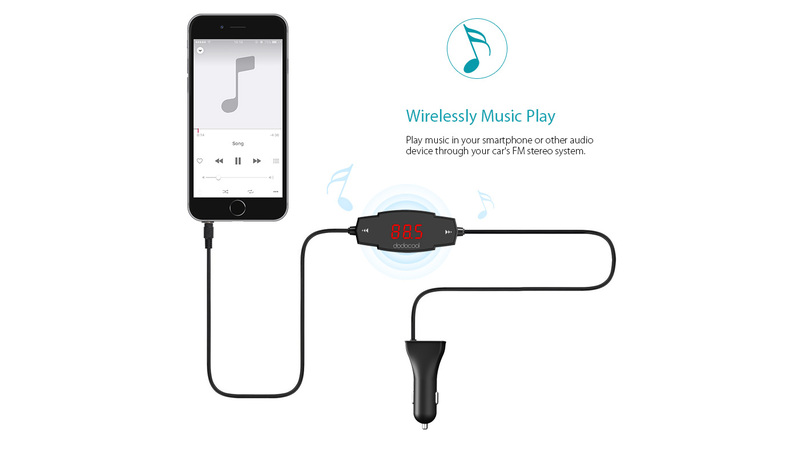 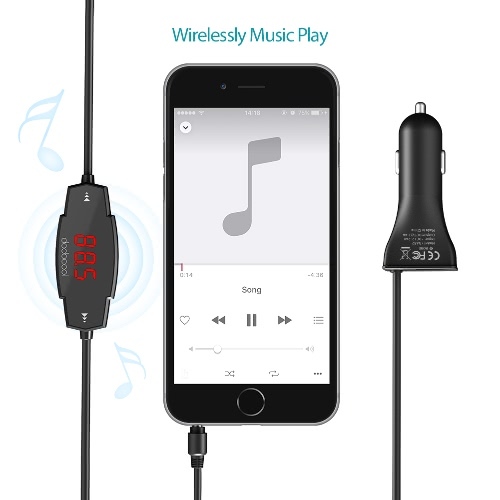 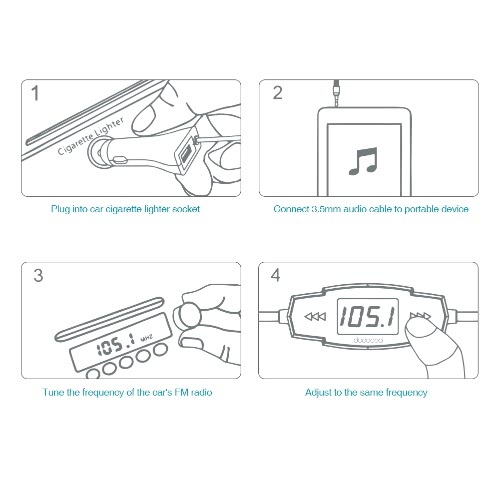 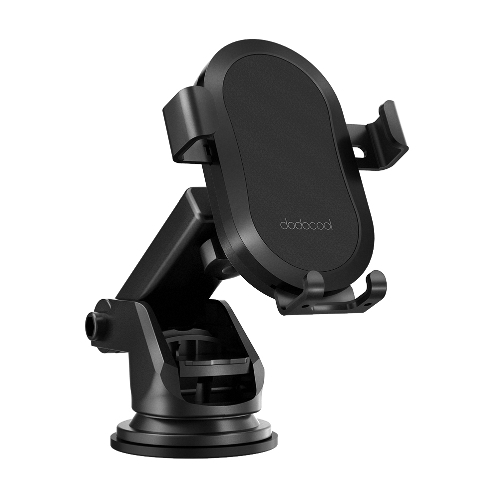 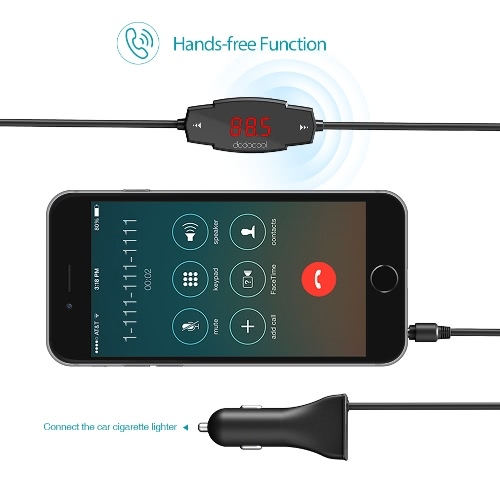 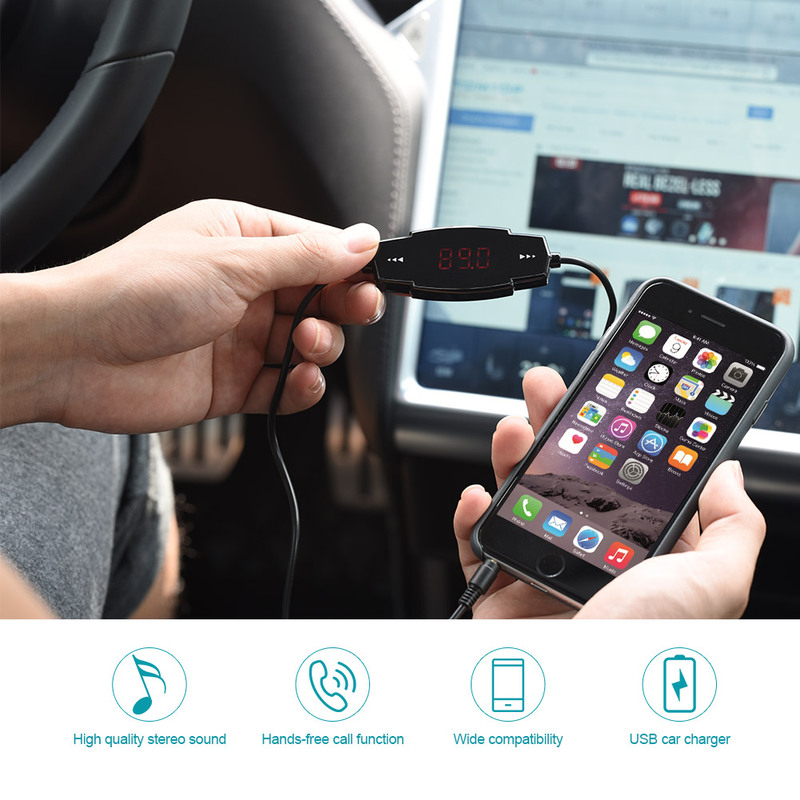 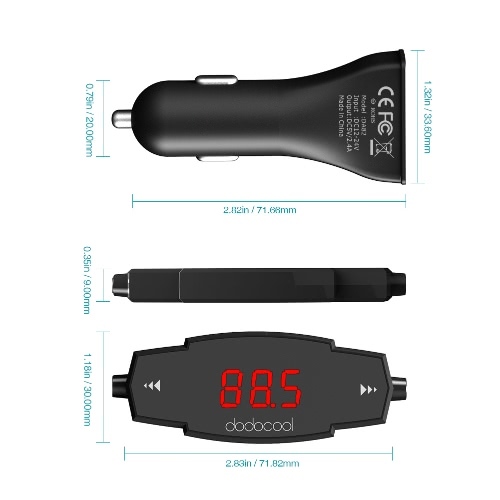 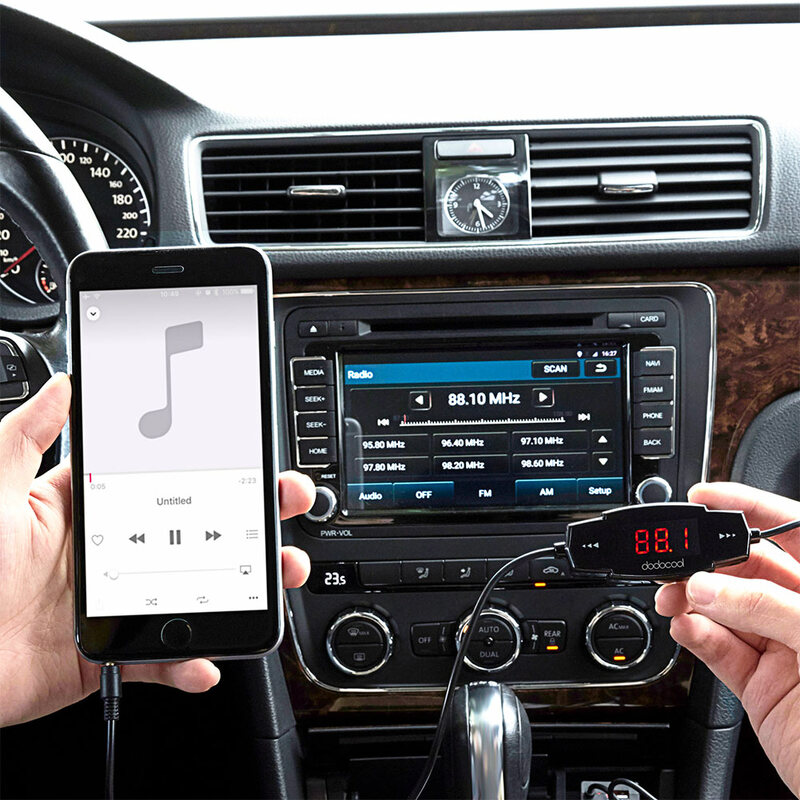 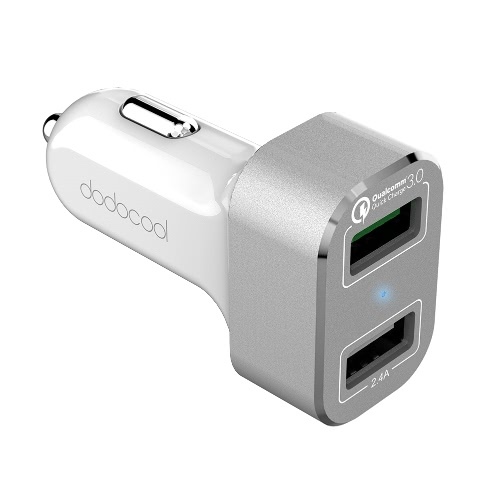 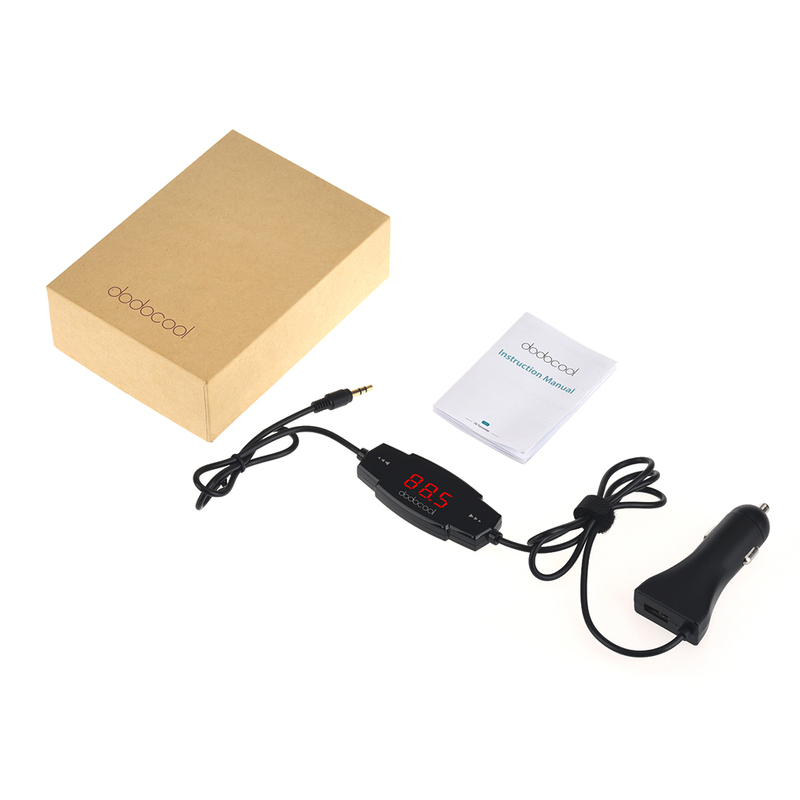 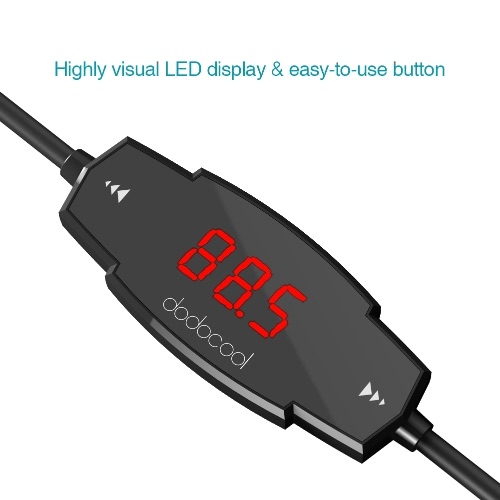 dodocool FM Transmitter allows you to make hands-free phone calls and listen to music in your mobile devices through your car stereo system. 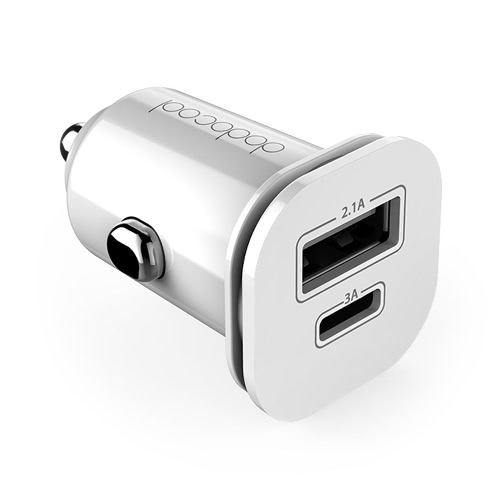 It also comes with an extra USB port to charge your device, up to 2.4A output. 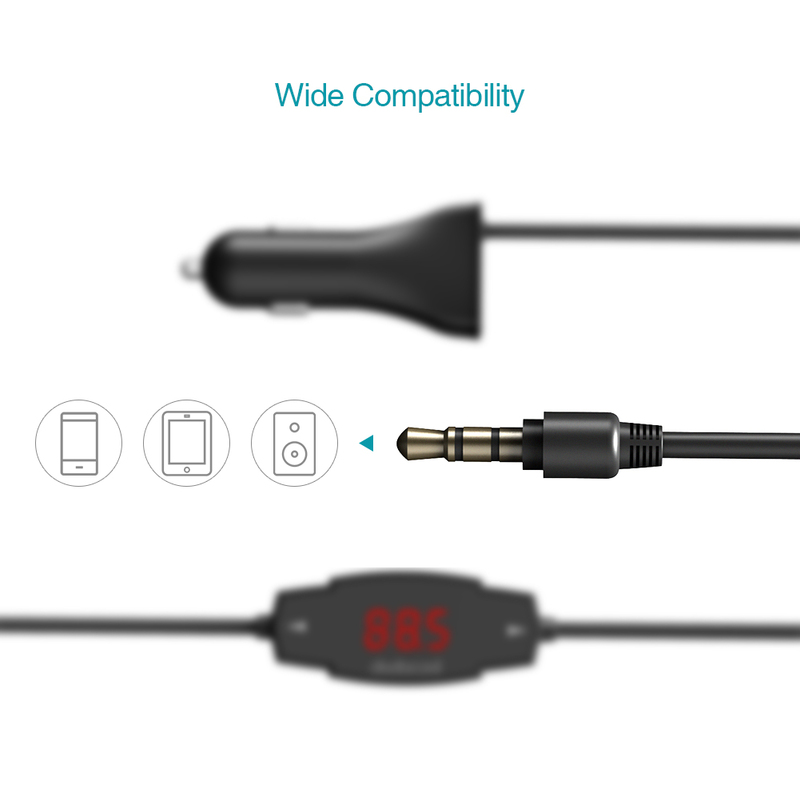 Compatible with most portable devices with a 3.5mm audio jack. 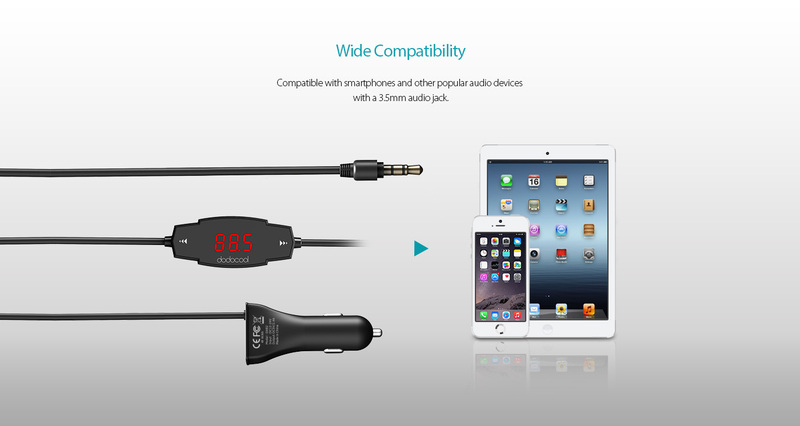 Play music on your smartphone or other audio devices through your car's FM stereo system. 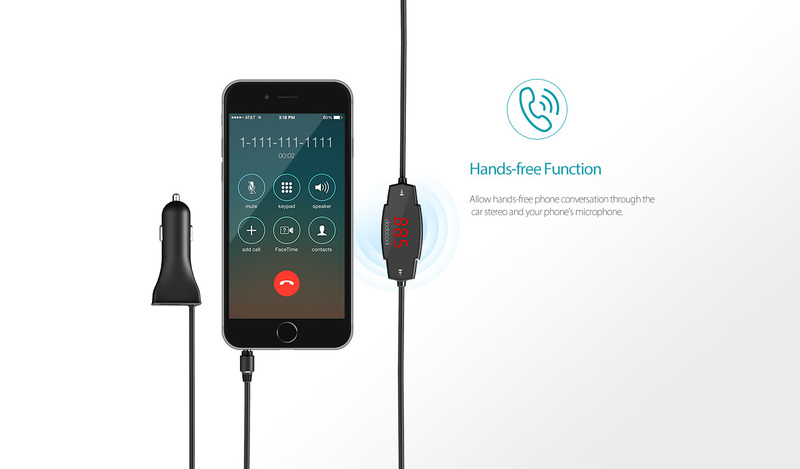 Allow hands-free phone conversation through the car stereo and your phone's microphone. 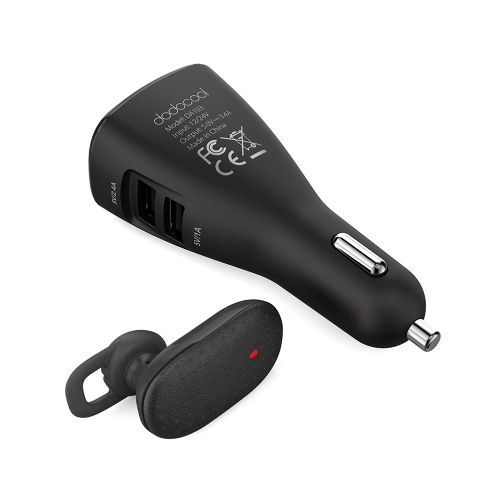 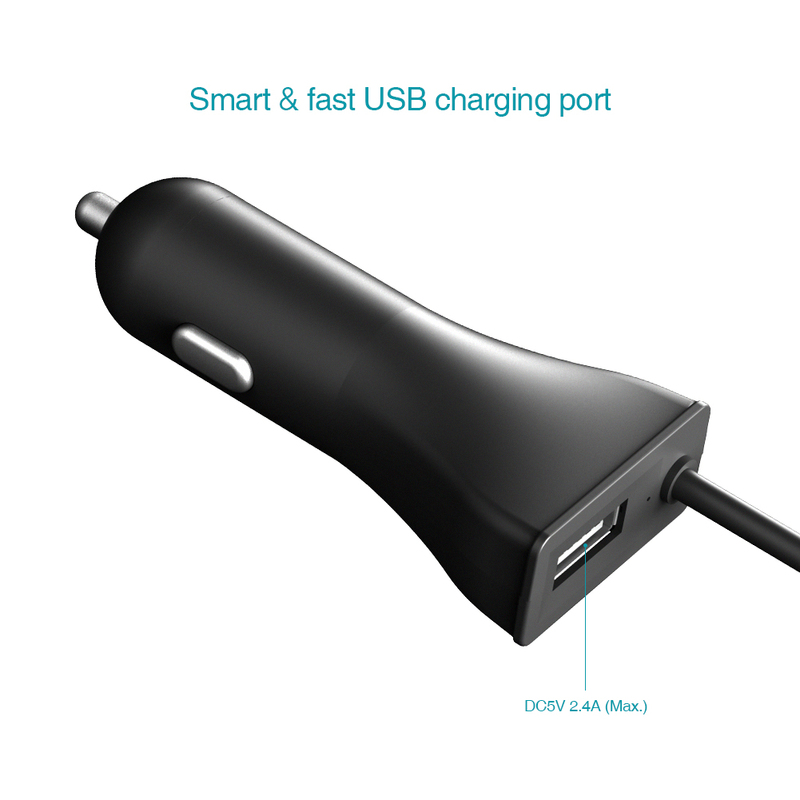 The car charger with an extra USB port can charge any of your USB powered devices with maximum output of 2.4A while driving. 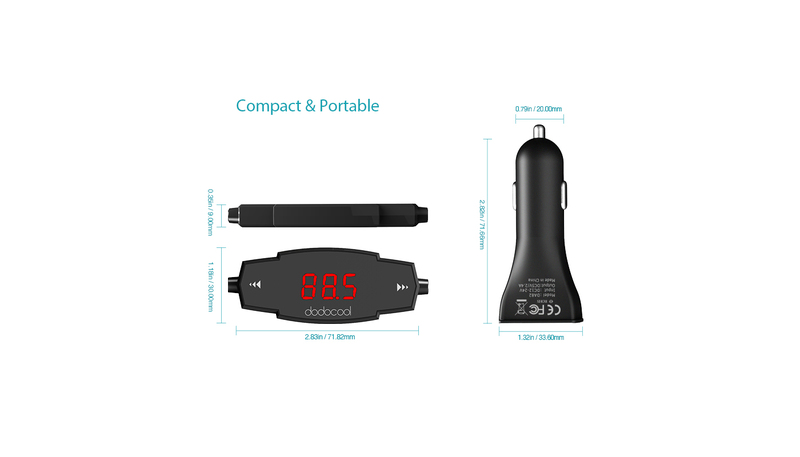 Work with standard DC 12 - 24 V vehicles. 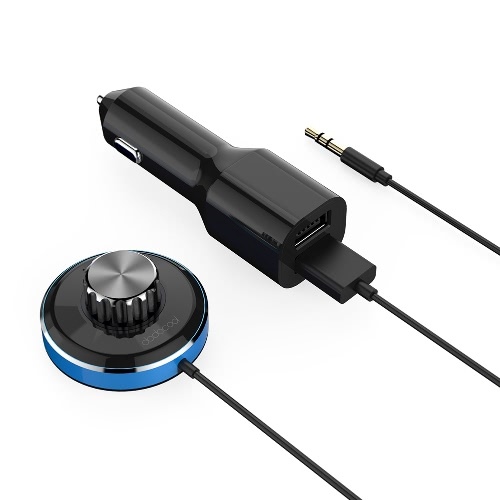 Compatible with smartphones and other popular audio devices with a 3.5mm audio jack. 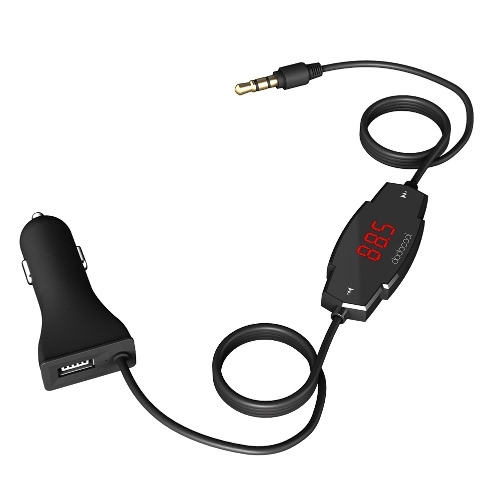 With easy-to-read LED display and easy-to-use buttons to adjust FM frequencies between 88.1 MHz to 107.9 MHz. USB output: DC5V 2.4A Max.